My best friend found this pillowcase at Hot Topic on clearence for $4.50. It matches the throw I posted before. Unfortunately Hot Topic is sold out of this according to the website. 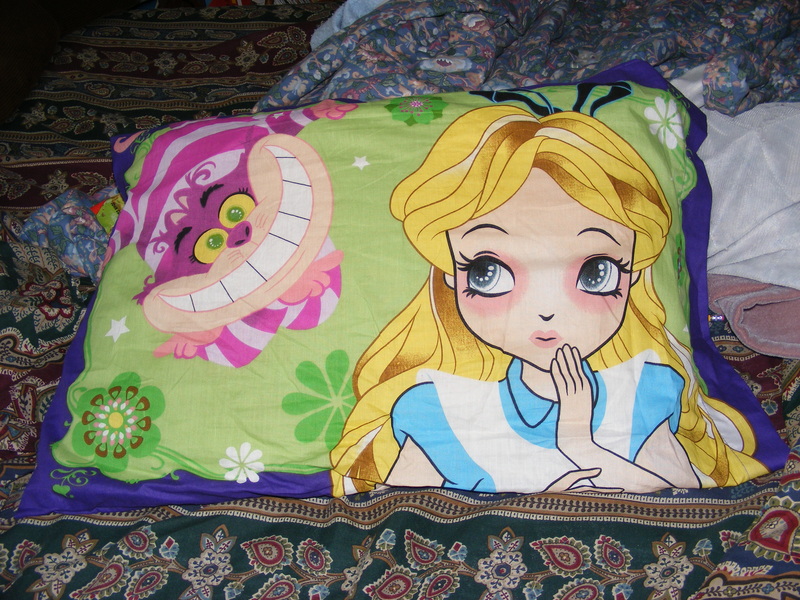 I think it’s really cute, but like I said about the throw, it’s supposed to be Disney but Alice looks really more animeish then she does like the Disney Alice but it’s still cute and I love it. 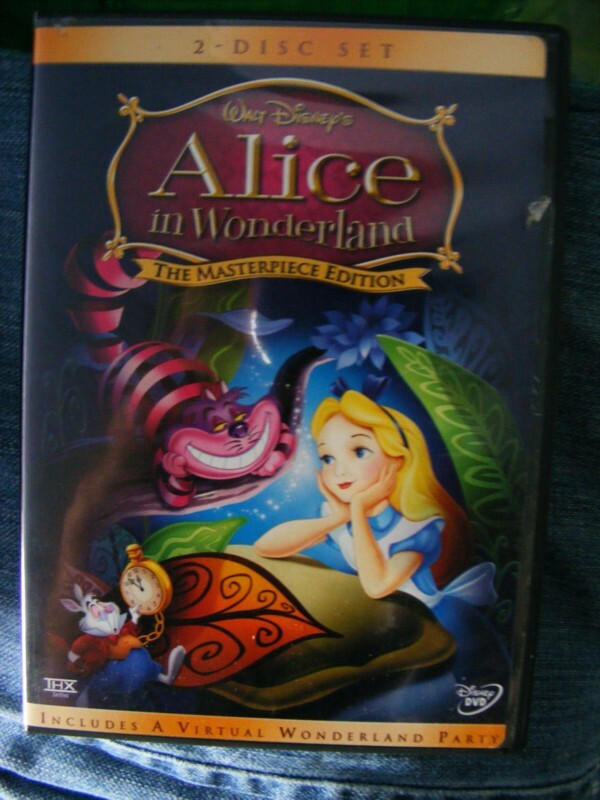 What would an Alice in Wonderland collection be with the DVD of the movie? That’s right, it wouldn’t be a collection at all. I’m sorry I haven’t been updating as much on this blog as I should be. I just had to have my pet rat put to sleep and also I’ve been really sick the last two days so sorry if I don’t update too much. Once I’m over this cold or flu or whatever it is I’ll be back to trying to update at LEAST every other day. 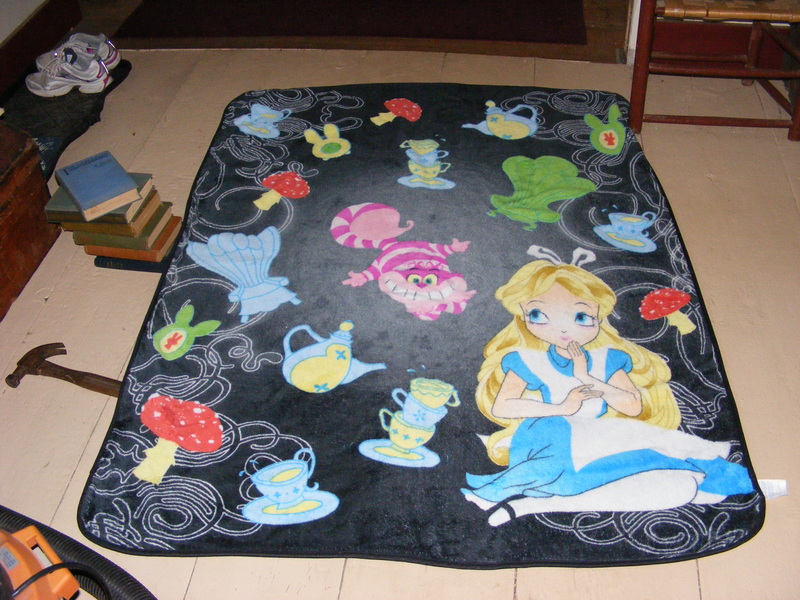 This is one of my favorite items, due to the fact that it’s super soft and of course pretty. My mom bought it for me from Hot Topic for Christmas last year. 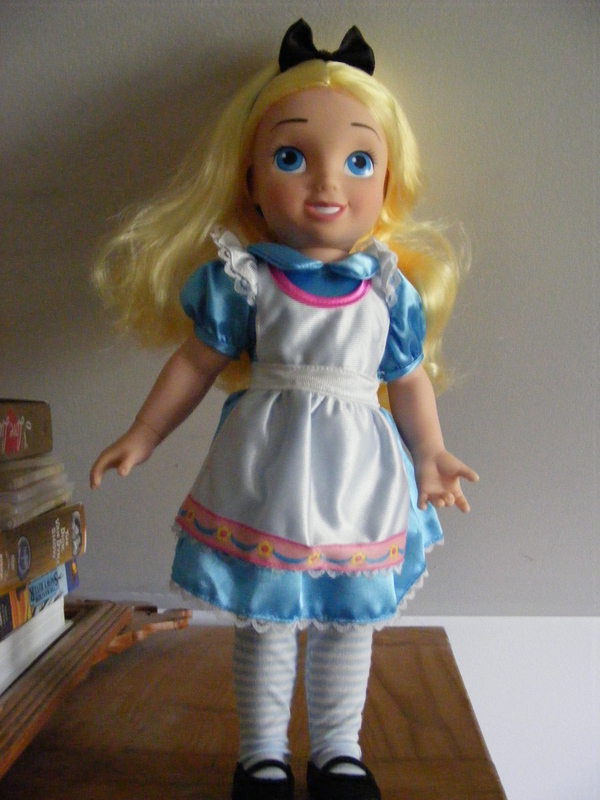 Even though this is a Disney product, Alice looks a lot different from the disney alice…she almost looks animeish(is that even a word?). 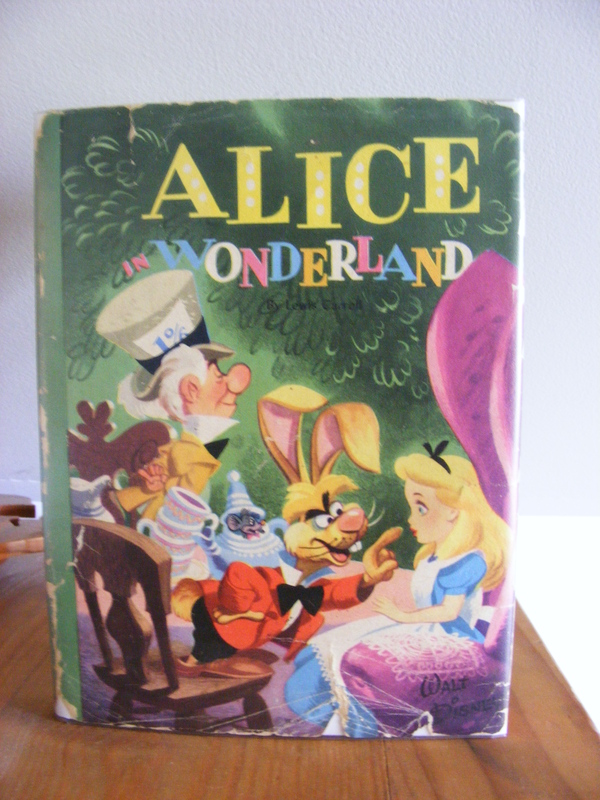 But I still think it’s pretty and I love any variation of Alice art. Hot Topic doesn’t sell this anymore unfortunately and I couldn’t find it for sale on any other websites including Ebay and Amazon. Sorry guys! 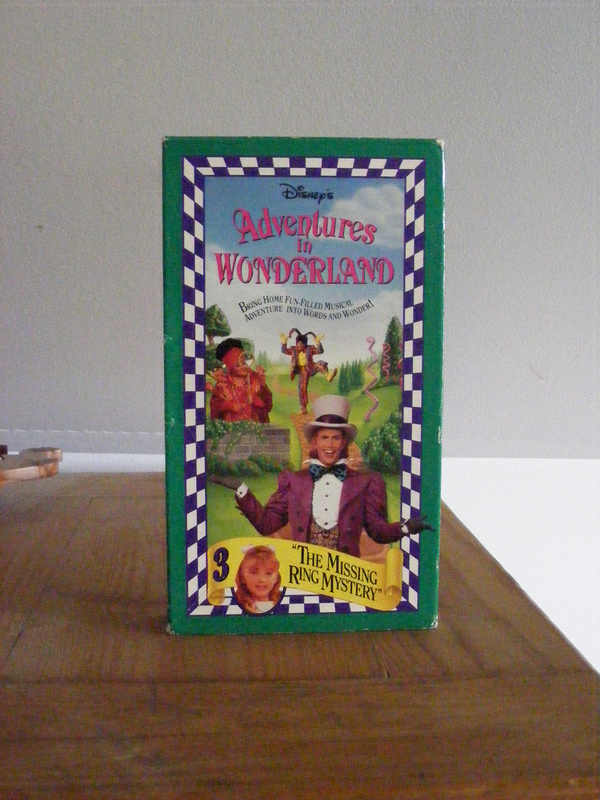 I found this VHS movie at a garage sale and only paid twenty five cents for it. Unfortunately I do not own any of the other movies which are apparently taken from a show that used to be on the Disney Channel that I never had even heard of until I got it. I have yet to watch it because I want to get the first two first, and watch them in order. You can buy this from amazon here. My father got this copy and unfortunately I can’t find much about it on the internet. The dust jacket was torn when I got it but luckily my dad was able to fix that with some sort of protective covering. I think this is definitely one of the more attractive Disney copies I own.